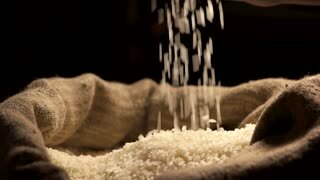 Hands and rice in slow-mo. Groats falling into sack. Rice and hands of man. 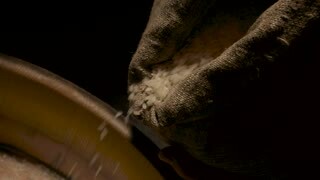 Sack with white groats. 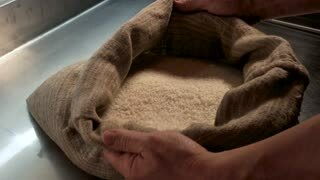 Rice falling from a sack. Pile of raw groats. 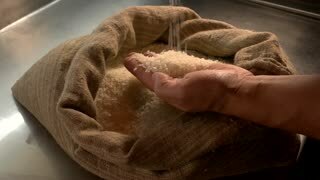 Male hands holding rice. Raw groats closeup. Best supplier of agricultural products. White rice falling, slow motion. Hand holding sack of groats. 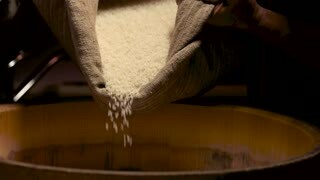 Rice falling in slow-mo. Sack with groats. Sack with rice and hands. Lots of white groats.